So from 8:00am Nov 2nd to 8:00am challenge Dan to a game of NHL 13! If you win our game then I will donate $5 in your name. If I win our game then you will donate a minimum $5. Either way a donation is made in your name to the IWK! 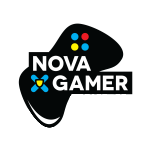 If you challenged me to a game, thank you for getting involved with us during this amazing event.If you decided to make a donation to support me or anyone on the NovaGamer team thank you also, this is the whole reason we choose to do this each year.And finally, thank you. Even though you may have decided not to support us, you took the time to read this entire article and are now aware of this fantastic annual fundraising event that is extra-life. Gamers care, and on November 2nd we show it.